Blindspotting (film, 2018). A 2018 American comedy-drama film with "R" rating by Lionsgate/Lions Gate Entertainment. Directed by Carlos López Estrada. Official Trailer. Blindspotting is a 2018 American comedy-drama film directed by Carlos López Estrada. 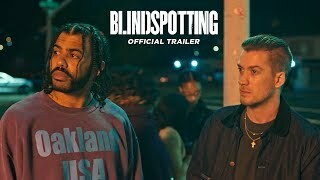 Blindspotting (2018 Movie) Official Trailer - Daveed Diggs, Rafael Casal. Collin (Daveed Diggs), a convicted felon, is struggling to finish the last three days of his probation. Collin, along with his short-tempered best friend Miles (Rafael Casal), works for a moving company located in Oakland, a city in the Bay Area. One night while waiting for a red light, Collin witnesses a white police officer (Ethan Embry) gun down a black civilian. As Collin is haunted by the incident, he begins to have nightmares and experiences hallucinations. Miles purchases a gun from a friend on the basis of self-protection, an action which Collin strongly disapproves. As Miles continues to display erratic behavior, Collin's ex-girlfriend Val (Janina Gavankar) warns Collin of the dangers that may come from a continued friendship with Miles. Later that evening while having dinner, Miles' gun accidentally ends up in the hands of his young son Sean, an incident which horrifies Sean's mother Ashley (Jasmine Cephas Jones), forcing both Collin and Miles to leave the house. At a party, an agitated Miles assaults a black man who misinterpreted Miles' persona as cultural appropriation, leading to a fight between the two. Miles uses his gun to terrorize the party guests before being stopped by Collin. In an explosive argument, Collin criticizes Miles for his reckless behavior and the trouble it keeps causing him. With his probation now over, Collin continues to feel mentally troubled by the murder he saw. As they are finishing a moving job, the house is revealed to be that of Officer Molina, the same officer whom Collin witnessed gunning down a black man a few days earlier. Collin confronts the officer at gun point and criticizes the relationship between the police and black America, but refuses to shoot him, leaving the distraught officer behind. Following a moment of solemnness, Collin and Miles repair their friendship as they drive off to their next job. Principal photography began in June 2017 and lasted for 22 days, filming around Oakland. 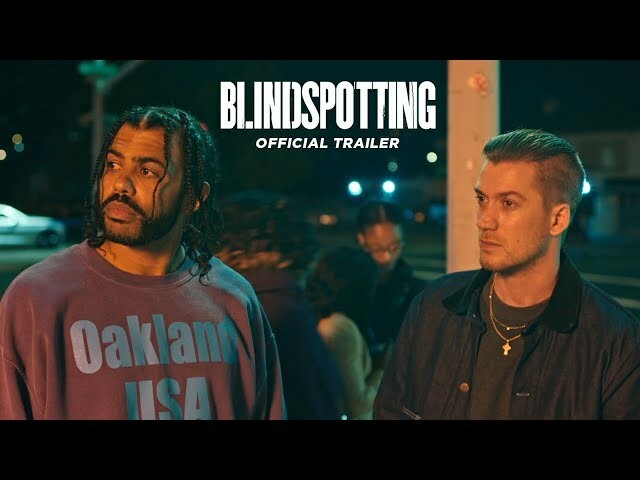 The film Blindspotting was scheduled to be released by Lionsgate and Lions Gate Entertainment on January 18, 2018 (Sundance), on July 20, 2018 (United States) and on October 5, 2018 (United Kingdom). The duration of the film is 95 minutes. With a budget of $1.2 million, the film grossed over $4.9 million. Blindspotting got high rating from critics. The audience also likes the film.